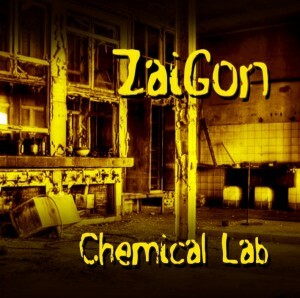 Zaigon is a new psytrance duo from Cyprus formed by Zaiklophobia (Yiannis Antoniou) and Agonist (Sotoiris Kokkinos). Chemical Lab, jointly released by Under Voice Records and Monstruo.ink Crew, is their debut release containing four songs designed to spin your brain and senses all the way into a deeper state of psychedelic madness. Mastered by Lattus with artwork by Vess. MP3 Download | FLAC Download | WAV Download · Download count: 6,822.
these is the good stuffs, noice!!! Great tracks! Their added to the playlist! Open minds. Open sources .